This is really a wonderful kind of spy cameras. 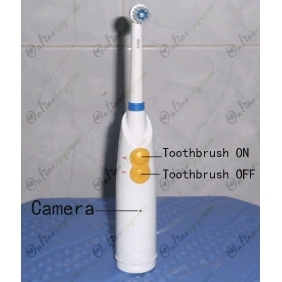 The pinhole camera is set internally in an electric toothbrush, so people just think of it is an ordinary electric toothbrush. Compare to the first generation bathroom spy camera, its appearance is more beautiful and its operation is easier. You can shoot the exciting things wherever and whenever you like. There won’t be any noise when the camera works. Don’t worry about other people would perceive it. Its 32GB memory card and its battery capacity can work about 16-18 hours. That's enough for you shooting a lot of wonderful videos. 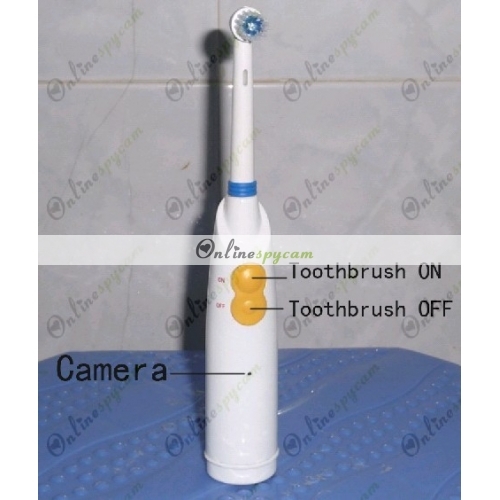 The function of brushing is kept and at the same time the product is waterproof, you can use this high-class electric toothbrush to clean the teeth as usual. If you are a shooting lover, if you want to get the most authentic evidence for a variety of illegal behavior in secret, this Pinhole Spy Toothbrush Hidden HD Camera DVR 1280x720 32GB will be a good choice.